PET offers great freedom on the front of the bottle design and allows to differentiate the brand on supermarket shelves. This material offers an even more important advantage in terms of food protection and barrier properties. It preserves the nutritional and sensory properties along the whole chain: from production to storage, transport and distribution. The tight closure also increases the practicality of containers, even if there is no aluminum layer. 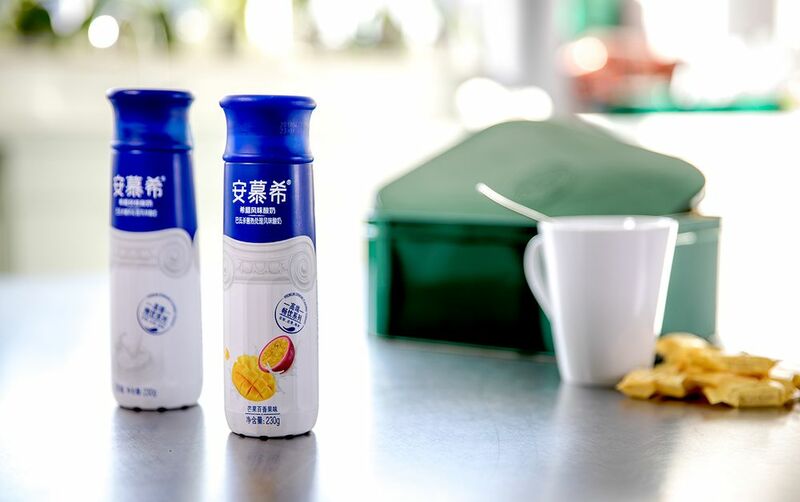 For this reason, the Chinese Yili recently installed two complete PET lines from for the packaging of yoghurt, including the Sidel Aseptic Combi Predis with its unique dry preform sterilisation technology. Every component is centred around one supplier, from process solution to PET packaging assessment, up to the final machine structure. The lines, featuring a high-speed production capability to answer the growing Chinese market demand of liquid dairy products for Ready-to-drink (RTD) consumption, also offer Yili the opportunity to move from the traditional wet bottle decontamination technology they were previously using to the Sidel aseptic blow-fill-cap solution, equipped with dry preform and cap sterilisation technologies.